Ten years ago, United Nations Security Council Resolution 1701 brought the Second Lebanon War to an end. Almost immediately journalists, historians and policy analysts began grappling with the significance of the 34-day conflict. Yet to date, the pivotal events in the years that preceded that war – namely, the 15-year period between 1985 and 2000 in which Israeli troops maintained a security zone in southern Lebanon before unilaterally withdrawing all Israeli Defence Forces (IDF) in May 2000 – have largely been overlooked. In his recent war memoir Pumpkin Flowers: A Soldier’s Story, author Matti Friedman begins to fill this gap. Friedman’s own experiences as an IDF solider serving in southern Lebanon took place in the final years of the security zone – at a time when there was a growing and vocal movement within Israel advocating for withdrawing from Lebanon. Prior to the Israeli invasion of Lebanon in the 1982 Operation Peace for Galilee, cross-border incursions perpetrated by Palestinian terrorist organisations based in southern Lebanon were a frequent occurrence. Though Israel ultimately achieved the mission’s stated purpose of routing the Palestine Liberation Organisation (PLO) from its base of operations in southern Lebanon, in their place emerged a new, and ultimately more formidable adversary: Hezbollah. Three years later, on January 14, 1985, then-Defence Minister Yitzhak Rabin announced the cabinet’s decision to deploy IDF troops to maintain a 328-square mile buffer zone in southern Lebanon, to prevent the area from being used as a staging ground for acts of terrorism targeting northern Israel. For the next 15 years, those residing in northern Israel were able to maintain a relatively normal life, free of the fear of terrorist infiltration, (though they were still subject to occasional attacks from mortars and rockets launched from within the security zone by Hezbollah). Moreover, as a result of the relative quiet, residents in Israel’s north benefited from a thriving tourism industry during this period. But this improved quality of life came at a price. Between 1985 and May 2000, Hezbollah attacks on Israeli troops stationed in the security zone became the organisation’s raison d’être. The IDF lost an average of two dozen troops annually, which according to the army’s estimates amounted to 559 fallen soldiers, including 256 in combat operations. But following the withdrawal the newfound ‘quiet’ along the border would not last, and in July 2006, the Second Lebanon War broke out in response to a Hezbollah provocation. Since the 34-day conflict ended in August 2016, the security situation along the Israel-Lebanon border has been governed by mutual deterrence, with neither Israel nor Hezbollah eager for the next round of fighting, despite Hezbollah’s efforts to enhance its military capabilities in the interim. Meanwhile, the events that took place in the security zone between 1985 and 2000 foretold the type of conflicts that the United States and coalition forces would soon find themselves immersed in following the U.S.-led invasion of Iraq in 2003. Visitors to Israel are familiar with the country’s painstaking efforts to memorialise its military history, especially the service and sacrifice of Israeli troops. Yet bookended by two wars, to date, the 15-year period in which Israeli troops were stationed in southern Lebanon still has no official name, and no official national monument. The ‘security zone’ era, as it is referred to, seems to have been largely forgotten. Yet, there are several reasons why the events that took place during this period are worthy of greater consideration. Many of these tactics would eventually be exported outside of the security zone. After the Israeli government deported 415 members of Hamas and the Palestinian Islamic Jihad to Lebanon in December 1992, they wound up receiving training in suicide terrorism from Hezbollah. Eventually they were allowed to return and in April 1993, Hamas carried out the organisation’s first suicide attack in the West Bank – a trend that would continue for much of the next decade. And it was Hezbollah’s claim of victory in May 2000 following Israel’s unilateral withdrawal that, according to Brig. Gen. (ret) Yossi Kuperwasser, served as ‘wind in the sails’ of Palestinian militant groups in the West Bank, when the Second Intifada broke out four months later. That the Security Zone in essence served as an incubator for a range of innovative techniques – that only a few short years after Israel’s withdrawal would be employed by actors throughout the region, giving modern armies a run for their money – renders this period a worthwhile case study for the IDF and Israel’s political leadership, as well as for other countries who have already embarked on, or are contemplating, similar military engagements. A second reason why the history of the security zone era is relevant today, is that the decision to unilaterally withdraw from Lebanon remains a unique instance in Israeli history where a grass-roots movement (led by the Four Mothers Movement) held greater influence on national security policymaking than the military establishment, whose assessment on security policy is typically regarded as sacrosanct in Israeli domestic politics. Indeed, prior to 1997 the Israeli public had largely been shielded from the day-to-day events in the security zone, for a host of reasons, including the fact that military reservists were largely not among those soldiers sent to Lebanon, a tight grip on the media (mainly by keeping the security zone off-limits to reporters), and the relatively low-level of casualties on an annual basis. The turning point came following an incident on the evening of February 4, 1997, where two IDF helicopters carrying troops bound for Lebanon crashed while still in Israeli airspace, resulting in the death of 73 troops. The helicopter incident, together with the emergence of the Four Mothers Movement almost immediately intensified the public interest surrounding the rationale of maintaining the security zone. As Avraham Sela argues, ‘the main achievement of civil society in this case [the security zone] was mobilising the media to develop a public debate which questioned the validity and necessity of the security zone and confronted the security establishment with an alternative rationale and discourse.’ Indeed, in the 1999 elections, Ehud Barak campaigned on a promise to ‘return the boys home’ within his first year of office. It is the relatively short time in which Israel’s unilateral withdrawal from Lebanon was accomplished, juxtaposed with the ongoing debate surrounding Israeli withdrawal from territories occupied in June 1967 which renders the history of the security zone worthy of further examination. Third, the security zone years were unfortunately not the last instance of the Israeli political leadership’s adherence to poor decision-making processes when it comes to national security issues. The 15 years in which the IDF was deployed in southern Lebanon uncovered a host of weaknesses in the political leadership’s decision-making and management of national security issues, a number of which have yet to be adequately resolved. The security zone period was marred by the government’s failure to clearly outline objectives and goals. As Friedman writes, ‘[t]hat’s why this war never had a name – a name would suggest a decision . . . This wasn’t a matter of debate so long as the price wasn’t too high.’ This was compounded by the absence of reservists serving in southern Lebanon, and the tight media controls, which taken together impeded the flow of information from the security zone to the Israeli populace as to what exactly was occurring on a day-to-day basis in southern Lebanon. Yet, the political leadership’s failure to state clear objectives and keep the cabinet apprised so as to enable them to make informed decisions occurred again in 2006, and during Israel’s three subsequent wars with Hamas. Lastly, the lack of sufficient debate within the government is another attribute of the political leadership’s national security decision-making process, prevalent during the security zone years, that has endured. In his account of this period, Friedman argues that prior to the February 1997 helicopter accident, (and apart from brief military operations in southern Lebanon in 1993 and 1996), the security zone had not been a matter seriously debated by the government, and in fact, that ‘there had never quite been a decision to create it in the first place.’ Following Operation Protective Edge in 2014, similar claims regarding the lack of sufficient debate on Gaza – and as to what precisely was known to members of the security cabinet prior to the start of the war regarding Hamas’s offensive tunnels – have been brought to light. According to MK Ofer Shelah there was only one meeting discussing Gaza during Israeli Prime Minister Benjamin Netanyahu’s third term, prior to the June 2014 kidnapping of three Israeli teenage boys in the West Bank, the event that precipitated Operation Protective Edge. Similar claims as to the lack of proper discussion of the threat from Gaza have been made by others in the Israeli national security establishment. For decades, successive commissions of inquiry have reported deficiencies in the government’s decision-making with respect to national security and have called for improvements to the quality of the discussions in the government. But, problems are still endemic. The political leadership has failed to adequately implement these recommendations. Moreover, the years following Israel’s initial invasion of Lebanon in 1982 have challenged the country’s traditional security concepts of deterrence and military decision – core pillars of the national security doctrine that has existed since Israel’s founding in 1948. During the security zone years, the threat facing the IDF evolved from that of conventional armies on traditional battlefields, to the threat posed by hybrid politico-military organisations such as Hezbollah and Hamas. Yet, in the years since the IDF’s withdrawal from Lebanon, the army has utilized reservists, and incorporated more liberal policies regarding media access when engaging in hostilities with these new, formidable adversaries. As a result, when military operations are underway, the Israeli public is now kept abreast of most developments, often as they are unfolding in real time. Yet, the political leadership has done an inadequate job at coordinating the public’s expectations with respect to how the concepts of deterrence and military decision have evolved in this new era dominated largely by asymmetric warfare – a change that began with Israel’s earlier experiences in Lebanon. The adoption of a new military strategy in August 2015 seeks to remedy a number of these deficiencies. Yet the problem remains that the military does not operate in a vacuum – it remains subject to the decisions handed down by the political leadership. Therefore, it is imperative that building on the publication of the IDF’s new strategy that the political leadership takes the opportunity to reform its decision-making processes in accordance with the recommendations of previous commissions, and enacts a national security strategy that includes coordinating the public’s expectations with the new concepts of deterrence and military decision, while implementing the requisite reforms to its decision-making process on matters of national security. Until that happens, the security zone years should serve as a cautionary tale. Matti Friedman, Pumpkin Flowers: A Soldier’s Story (Chapel Hill, NC: Algonquin Books, 2016). Per Israeli military jargon at that time, it was common to name things after produce — hence a range of hilltops in southern Lebanon with names such as Red Pepper, Basil, and Crocus. Floral code words were popular as well – if the code word ‘flowers’ was sent over the radio, that meant there were wounded soldiers. Id, p. 24. Id; See also Shimon Peres, The New Middle East (New York: Henry Holt & Co., 1993). Friedman, Pumpkin Flowers, p. 20. At the time, the PLO was classified as a terrorist organisation by the Israeli government. 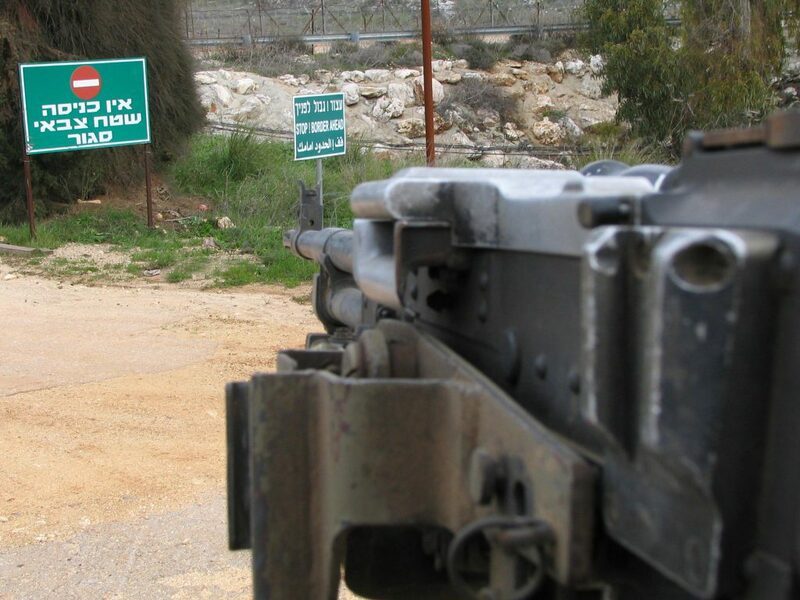 See Gal Luft, “Israel’s Security Zone in Lebanon – A Tragedy?” Middle East Quarterly, Vol. 7, no. 3 (September 2000), pp. 13-20. Avraham Sela, “Civil Society, the Military and National Security: The Case of Israel’s Security Zone in South Lebanon,” Israel Studies, Vol. 12, no. 1 (Spring 2007): 53-78. See Also Yagil Levy, Israel’s Death Hierarchy: Aversion in a Militarized Democracy (New York: New York University Press, 2012), p.71-81. Friedman, Pumpkin Flowers, p. 179-180. At the time, the rate of casualties in the security zone was on average around two dozen per year. Friedman, Pumpkin Flowers, p. 100. Friedman bases his claim on the language used in the cabinet decision from January 1985 that announced a three stage unilateral withdrawal plan for the IDF. According to the cabinet decision, the withdrawal was to occur in three stages, with the timeframe for the latter two stages to be set based on conditions inside Lebanon. Stage 3 called for the army to “deploy along the Israeli-Lebanese international border while maintaining a zone in southern Lebanon where the local forces – the South Lebanon Army – will operate with Israeli army backing.” See Friedman, Pumpkin Flowers, 99. [emphasis added] See also Thomas L. Friedman, “Israel Announces Three-Stage Plan to Leave Lebanon,” The New York Times, January 14, 1985, http://www.nytimes.com/1985/01/15/world/israel-announces-three-stage-plan-to-leave-lebanon.html. Amos Harel, “This Lawmaker Won’t Let the Gaza War be Pushed Under the Rug,” Haaretz, April 24, 2015, http://www.haaretz.com/israel-news/.premium-1.653167.